Carlo Silvesti brings a lifetime of experience in finance and accounting to the team and clients of MSFG. For over 35 years, Carlo was a controller and CFO for numerous mid-size, privately held corporations. He received his Bachelor’s of Science degree from St. Joseph’s University, and his MBA from Temple University. He has been a Certified Public Accountant since 1986. He is also an assistant professor of Accounting at Gwynedd-Mercy College. This experience makes him a valuable team member at MSFG as they continue to expand the educational opportunities afforded to their clients. Mr. Silvesti is the President of the Philadelphia Chapter of PA Institute of CPA’s, a co-chair of the state college’s committee, and a member of the chapter’s IFRS committee, and Schools and Colleges committee. 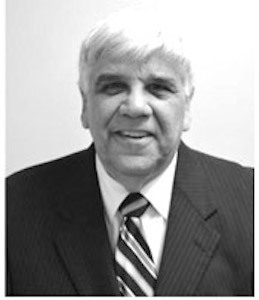 In addition to his accounting work and college teaching, Carlo serves on the Finance Committee and Board of Directors for St. John Vianney, a psychiatric facility of Catholic Social Services of the Philadelphia Arch Diocese. Carlo resides in West Chester, PA which his wife Elena. Together, they have two grown children and three wonderful grandchildren. He’s careful to not let his professional life interfere too much on Sundays in the fall; an avid sports fan, Carlo has been a 51 year season ticket holder with the Philadelphia Eagles. © Copyright 2015 2012-13 Market Street Wealth Management. All rights reserved. Kevin Holt, Jeff Leppert, Mark Meloro, Charles Meloro, Matt Eichert, Matt Dodge, Troy Vogt, and Andy Thrift are Registered Representatives of and securities are offered through USA Financial Securities. 6020 E Fulton St. Ada, MI 49301. Member FINRA/SIPC. ( www.finra.org ) A Registered Investment Advisor. Kevin Holt, Jeff Leppert, Mark Meloro, Charles Meloro, Matt Eichert, Matt Dodge, Troy Vogt, and Andy Thrift are Investment Advisor Representatives of Market Street Wealth Management. A Registered Investment Advisor. Market Street Financial Group, Market Street Wealth Management, Market Street Tax Services, and Market Street Insurance Services are not affiliated with USA Financial Securities. Investment Advisor Representatives & Registered Representatives at Market Street Wealth Management are authorized to transact securities related business and investment advisory services only in states where they are properly registered. For investment products and services these states include:Kevin Holt: AZ, CA, DE, FL, MD, NC, NJ, PA, VA, TX Andy Thrift: PA, Matt Eichert: CO, DE, FL, MD, NJ, NY, PA, Matt Dodge: NC, PA Jeff Leppert: AZ, CO, DE, FL, MD, NC, NJ, OH, PA, VA, TX Charles Meloro: DE, NJ, PA, Mark Meloro: DE, FL, NC, NJ, PA, VA, Troy Vogt: PA,. For investment advisory services these states include, depending on each individual representatives registration: PA, NJ. Additionally, clients who are not residents of these states cannot be serviced. This website is not intended to provide investment, legal, or tax advice, nor to effect securities transactions or to render personal advice for compensation. Plan First. Invest Second™ is a registered trademark of USA Financial. You can check the background of any of our financial professionals on FINRA’s BrokerCheck.